In a pinch, any container will suffice when drinking beer — even those little plastic cups at festivals. But to enjoy your brew to the fullest, glass selection plays an important role. Specific glasses enhance different characteristics — such as aroma and flavor — of a beer’s style. A few breweries even sell their own glassware (and not just a logo on a generic pint glass). In fact, Bell’s recently released a custom weizen (wheat beer) glass with legendary Austrian manufacturer Spiegelau to highlight their wheat beer lineup (bellsbeer.com). So start pouring. Weizen/Hefeweizen: Usually the tallest and largest glass at the bar — most hold at least a half-liter. The distinctive flow of the glass and curved lip at the top provide excellent retention of a foamy head, which captures a wheat beer’s flavor and aroma. 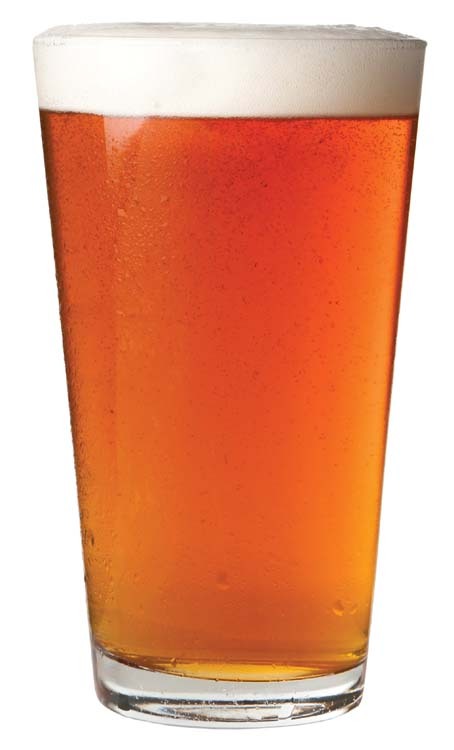 Shaker Pint/Nonic Pint: The most common beer glass, the American (or Shaker) pint is the standard for ales and lagers. The nonic pint, usually holding English ales and lagers, has a slight bubble near the rim. Note to shoppers: Look for the true 16-ounce size. Stange: The stange, or kölsch, is tall and narrow — used for lighter, more subtle beers (kölsch, Czech Pilsner, altbier, or rauchbier). The narrow mouth concentrates and boosts aroma and flavor. The original vessels were small and filled often during a drinking session. Tulip/Thistle: This aptly named vessel retain the head and enhances the aromas and flavors of stronger hoppy or malty beers, (double IPAs, barleywines, and Belgian ales). The thistle is slightly more elongated above the bowl with a less-definitive curve around the lip and primarily used for Scotch ales. 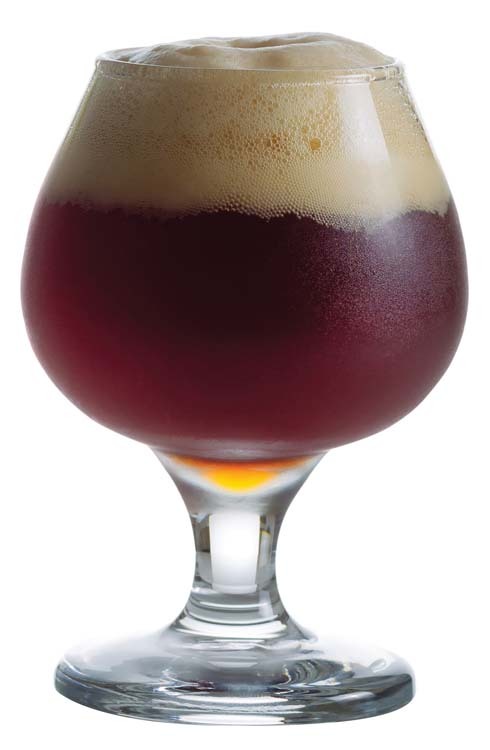 Goblet/Chalice: The thick-stemmed, large-bowled goblet is generally for heavy, malty beers like bocks and Belgian ales. The large surface area of the mouth lets drinkers review the overall characteristics of the beer with deep sips. Most often used with Belgian strong dark ales, dubbels, tripels, and quads. Pilsner: This glass is tall and slim, and usually tapers at the base. It highlights the color, aroma, and carbonation of lighter beers. The slightly larger mouth of the glass retains the head of the beer and disperses the aroma. Pilsners and lagers are the usual pours. 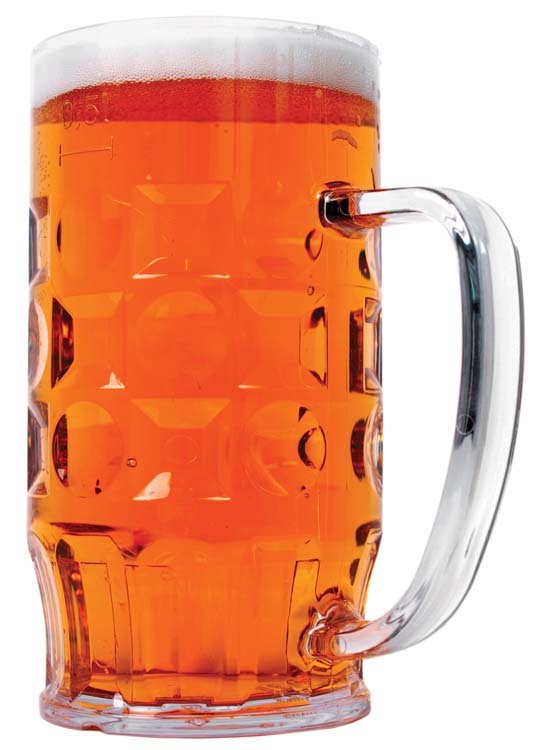 Mug/Stein: The barrel-like characteristics speak to the importance of “volume.” The handle reduces heat from the hand (and prevents droppage after hoisting a few). Thick glass provides insulation. Steins incorporate a hinged lid and thumb lever (believed to be more sanitary after the bubonic plague). Good for ale, lager, bock, and pilsner. Snifter: Basically the same glass people use for enjoying wines and cognac. The large bowl and narrow mouth concentrate the aromas and flavors, and provide the best vessel for swirling the liquid to release these characteristics. Usually reserved for higher-alcohol beers like Belgian tripels and quads, double IPAs, and Imperial stouts. Flute: A tall, narrow stemmed glass usually used for lighter beers to highlight colors and carbonation. Much like its sparkling wine counterpart, the flute will release more of the volatiles providing a more intense upfront aroma. American wild ale, Bière de Champagne, Flanders red ale, Gueuze, and lambic are perfect candidates.